This romantic arrangement of stargazer lilies and red roses will let your loved one know just how great the memories have been. Perfect for every anniversary. 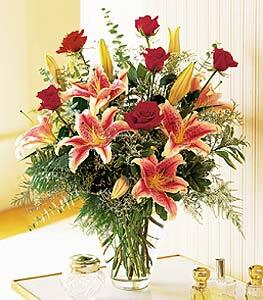 Stargazer lilies, roses and eucalyptus arrive in a clear glass vase.